Also known as “Shadow” patterns. This huge 88" tall silhouette of Sasquatch also known as Bigfoot will certainly be noticed when you stake this projct out in your yard by all those that pass by. This project is easy to make using this full-size pattern, carbon paper(CP2436), 5/8" or 3/4" exterior plywood, a hand-held jig saw, wood primer and black paint. 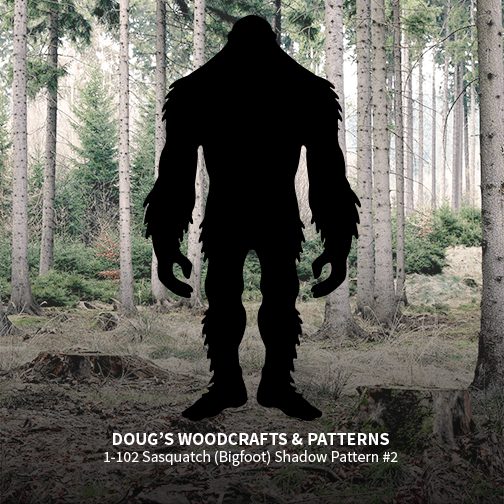 Be sure to view the DT-103 Giant Sasquatch pattern on page 2. There's been a Sasquatch sighting! That's what everyone will be saying when they see the one you have made and display in your yard. This silhouette is easy to make using this full-size pattern, transfer paper (CP2436), plywood, a hand-held jig saw and some paint (Black or White) The finished project measures 66" Tall by 47" Wide. 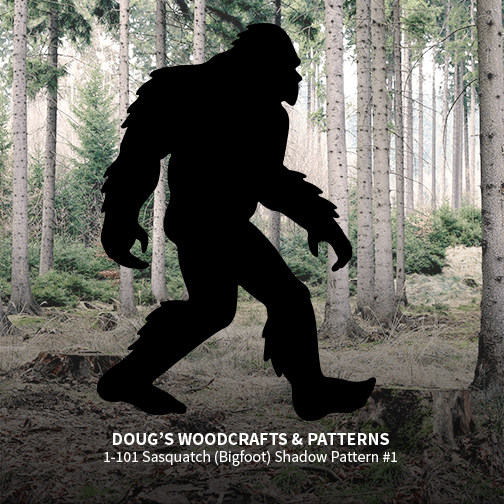 Be sure to view the DT-103 Large Sasquatch pattern on Page 5. 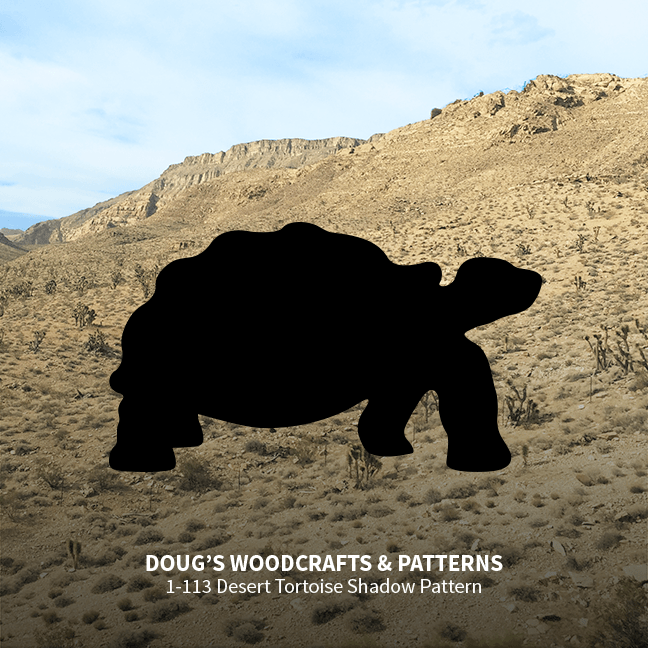 This extra large silhouette of a Desert Tortoise is sure to be noticed when you stake it out in your yard or fasten it to a fence or building. Easy to make by simply tracing this full-size pattern onto plywood, cutting out with a hand-held jig saw and painting black. 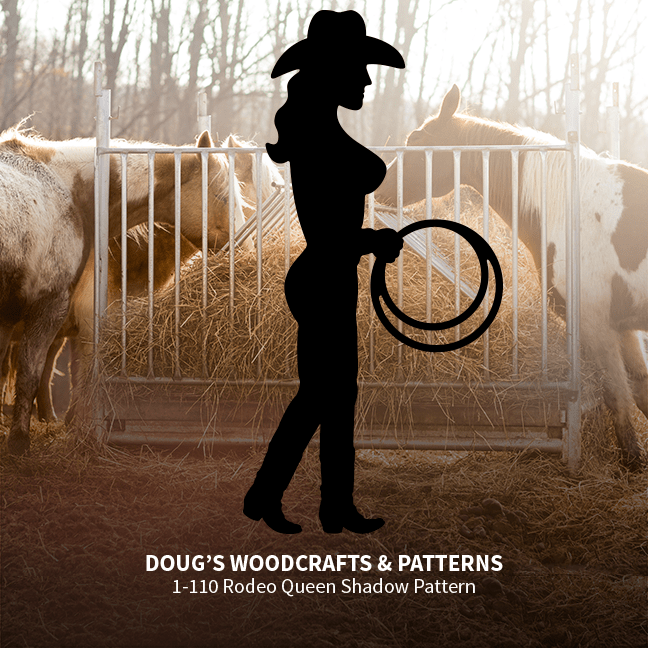 Everyone will take a second look when they see this glamorous silhouette of a Rodeo Queen displayed in your yard. The figure measures 34" Wide by 68" Tall and can easily be made with plywood and using this full-size pattern (no matching of pattern required), a hand-held jig saw and some paint. Stake it out in the yard or fasten to a tree, fence or building. 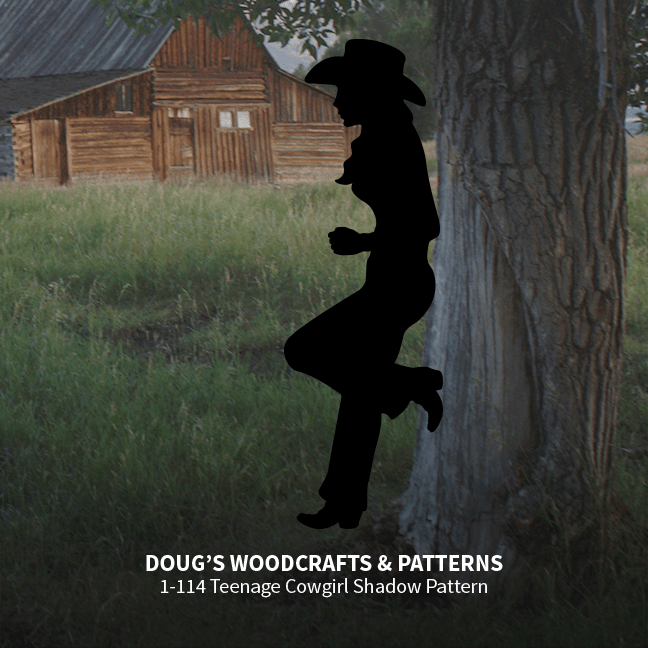 This life-size silhouette of a Teenage Cowgirl will surely turn the heads of everyone you passes by. 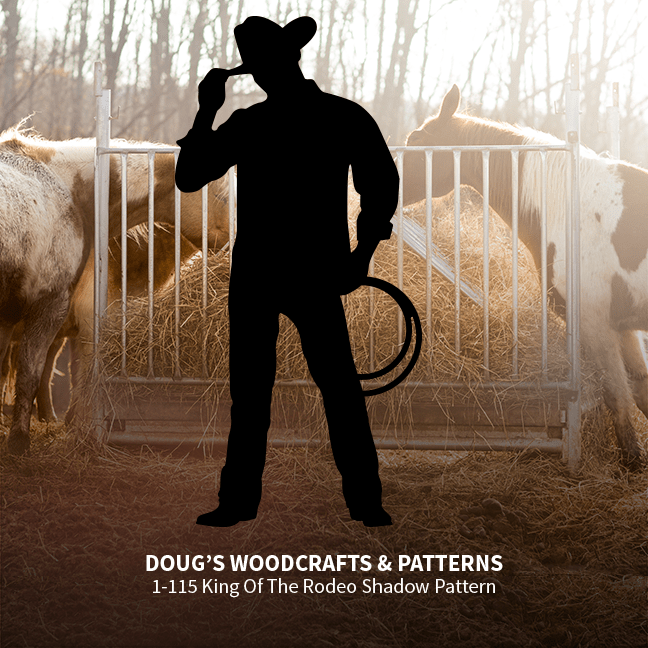 Easy to craft by simply tracing this full-size, one piece pattern (NO MATCHING REQUIRED) onto plywood, cut out with a hand-held jig saw and paint. Stake the finished project out in your yard or fasten to a fence or building. Measures 19" Wide by 58" Tall. 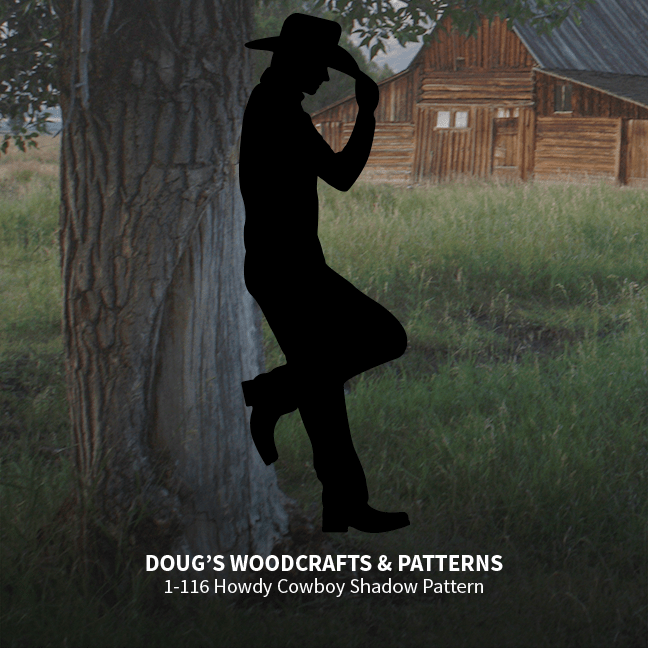 This full-size, one piece (No Matching Required) pattern, a hand-held jig saw, some plywood and paint is all you require to make this eye-catching, realistic Cowboy Silhouette. The finished display measures 34" Wide by 71" tall and can be staked out in your yard or fastened to a tree, fence or building. Our newest addition to our cowboy shadow selection. He appears to be saying "Howdy" to everyone who passes by. The full-size, one piece pattern requires no matching. The silhouette measures 23.5" Wide by 72" Tall. 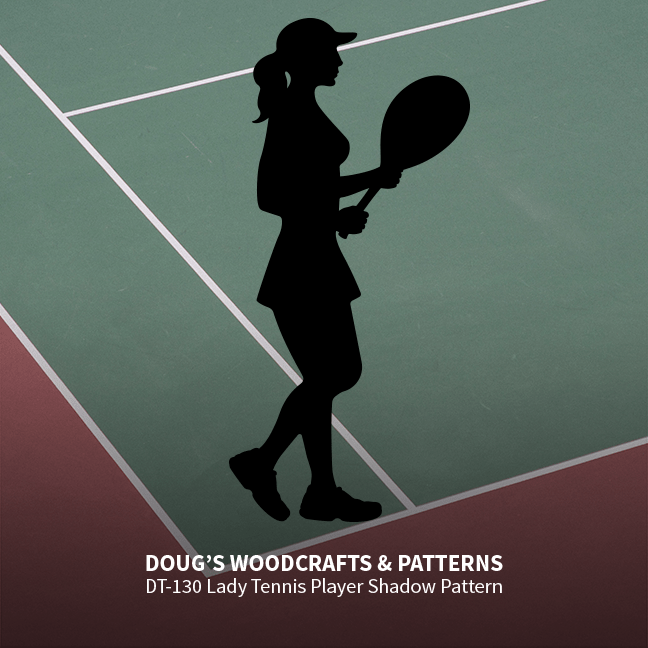 Make this eye-catching silhouette of a Lady Tennis Player by simply tracing this full-size, one-piece (no matching of lines) pattern onto plywood, cut out with a hand-held jigsaw and paint black. Display in your yard, or on a building. Measures 65" Tall by 31" Wide. Look out there's a Bobcat in the area. 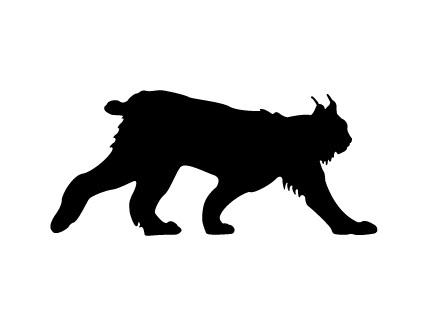 That's what everyone will be saying when they see this large silhouette of a Lynx/Bobcat in your yard. Easy to make using plywood, this full size pattern and some black paint. Measures 20" Tall by 45" Long. 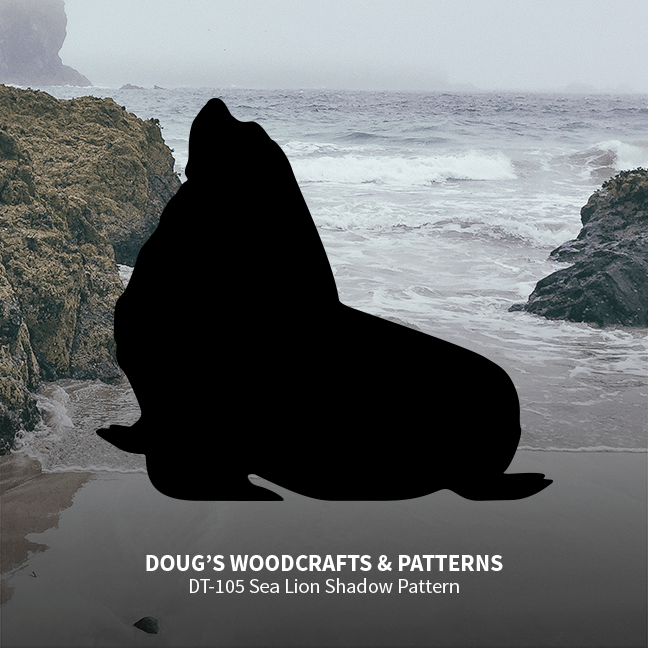 To make this large silhouette of a Sea Lion simply trace this full-size pattern onto a sheet of 3/4" plywood cut out with a hand-held jigsaw and paint black. The finished silhouette measures 47" tall by 53" wide. Make tracing easy by using CP2436 Carbon Paper (available in our Supplies Section). 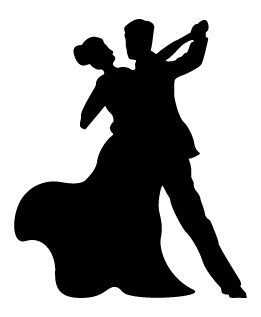 This silhouette of a graceful pair of Ballroom Dancers is sure to draw a lot of attention when you display it in your yard. Easy to trace, cut and paint using this full-size pattern, carbon paper, 3/4" plywood and some black paint. 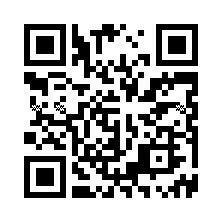 We recommend the CP2436 Carbon Paper that is available in the "Supplies" section of our website. The finished silhouette measures 55" Tall by 46" Wide. 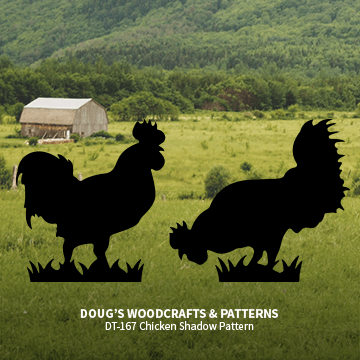 Trace these full-size patterns onto plywood, cut out with a hand-held jig saw and paint black. Stake these life-size silhouettes on your lawn or in your garden using MGS Display Stakes found in our supplies section. Rooster measures approx. 18" Tall by 18" Wide, Hen measures approximately 18" Tall by 15" Wide.